Here is a look at what audio podcasts are and how they work. Audio podcasts are a relatively new phenomenon brought on by the drop in prices of home audio recording and computing equipment, as well as the ease of sharing items through peer-2-peer, social networking, and online music stores. Podcasting, whose name obviously comes from the generation defining iPod, is essentially a recorded audio file of a radio show. Radio has been traditionally broadcasted live, and with the Internet you are given the ability to easily just play an audio file upon request that was recorded earlier. In general, a podcast is often defined as a media stream that uses the RSS protocol of XML, and it can also be document based or video based. This is a more official term, though audio podcasts are often simply distributed as an audio file. Conventional radio can cost quite a bit of money, but with new technology and the lack of a need for licensing and conventional distribution, this can be done easily and distributed for free. Today, audio podcasts are often recorded by people as a support to other work they do, such as filmmaking, acting, politics, writing, or anything else as a way of creating a dedicated recorded space for their views. Though podcasting, because of its ease of production using simple recording equipment and a home computer, is usually done in the "talk radio" format, there are occasionally times when music is included as well. The audience downloads the audio podcast, either individually or as part of a subscription, and then listens on their computer through their audio playback software or outside device, like an iPhone. 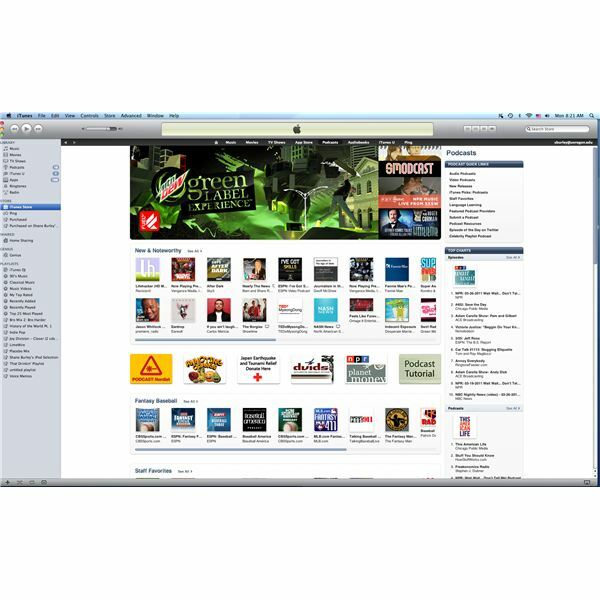 Today, one of the primary locations to download and listen to audio podcasts is through the iTunes Store, which offers them exclusively for free. This started out as just a few available podcasts, but today there are hundreds that you can download and listen to. 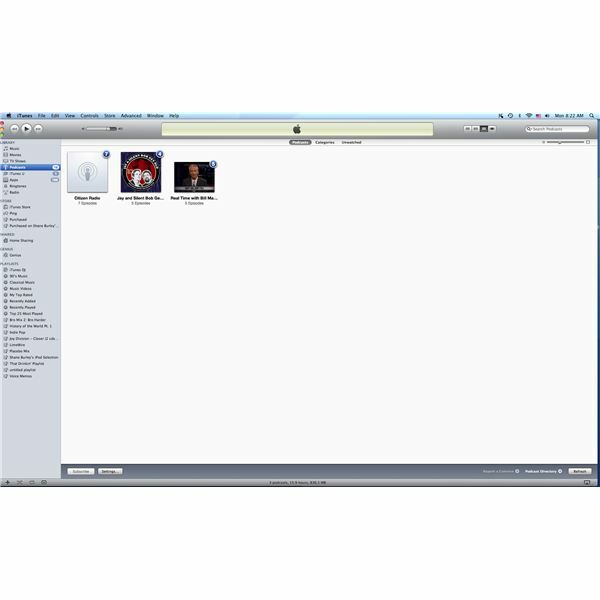 What makes iTunes such a practical location to find and distribute audio podcasts is because of the podcast infrastructure they have created in iTunes and the iPhone and iPod line. What you have the ability for is to find audio podcasts that you want to keep up on and choose to Subscribe, which sets you up for automatic downloads of those audio podcasts as they are released. This then allows the audio podcasts to be placed in a Podcast exclusive section in your iTunes away from your regular music Library, and if chosen it will sync directly to the Podcast section of your iPod. It can then be listened to on your iPod or iPhone in the same way that you would with the regular music tracks. This means that the controls and playback system will be identical. If you want to submit your podcast to iTunes, there is actually a built-in function to do that. To start, it is a good idea for your audio podcast to already be online somewhere. In the Podcast section of the iTunes Store you will find the option that says Submit a Podcast. Next you will go to a location where you can enter in a URL to submit your podcast to iTunes. It is in iTunes that an audio podcast is defined as being both episodic and using the XML protocol RSS. If you want your audio podcast to work through iTunes, it needs to exist using the XML protocol RSS so that iTunes can essentially just route the files over through the software allowing them to use the iTunes framework for distribution. 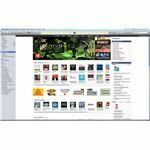 The XML will allow for a subscription and constant release format since iTunes essentially looks at the XML file daily to see if new files were released from the audio podcast distributor, and if so it downloads it and makes it available to subscribers. The reason you want to submit your podcast to iTunes is that it will make it infinitely more accessible and give an immediate infrastructure to those using iPods and the iTunes Store. When it comes to playing podcasts it really depends on the format that they were distributed in. If you download them from iTunes, or if you want them to be categorized with the rest of your iTunes podcasts, then you can make sure that they are all in your Podcast library on iTunes. If you just want them to exist free of that iTunes podcast format, then you will just categorize them in the regular iTunes library. If you are using a proper audio podcast that uses the XML/RSS framework, then you will find that it is simply easier to make sure that the audio podcast is available through a program like iTunes and that you are being active with your subscriptions. This will be standard if you are looking to play podcasts on the iPhone or similar devices, though you may want to see if there are apps that will play the audio podcast internally.